My mission in life is to help those that are seeking, find ways to heal themselves. 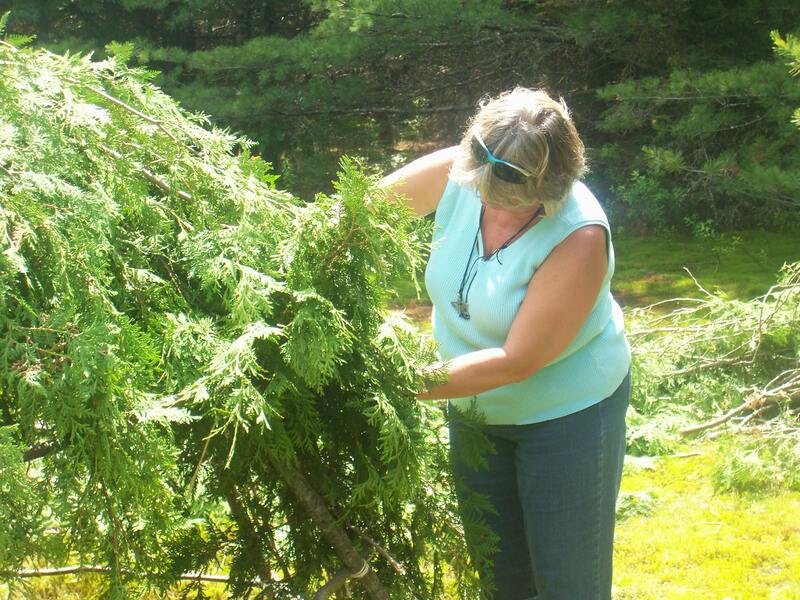 As a steward of the Earth, I help to bring awareness to others about the earth and the importance of looking after it. I grew up in the country and have a deep love of nature, communicating with animals, trees, plants, birds, water, air and all living things. Everything has a spirit and understands when someone has a helping spirit. It is nature and the ancestors of this land that calls to you. The ancestors named me Shawnodese, which I understand is Chippewa meaning Coyote and I absolutely love the name it fits so well. I’ve discovered that someone with mixed indigenous blood is also called a coyote. My DNA lineage is Native American Indian Metis. As a healer I have a foot in both worlds most of the time. That too is a coyote. So it is with pride that I walk as a Coyote while walking with the Coyotes of this land and the Coyote Medicine. The Coyote’s Technique, is a blend of various Ancient and Indigenous techniques. For years, when people asked what kind of modalities do I offer, my response would be: “It’s A Spiritual Stew. There’s a little bit of everything in it.” Before a session I ask the higher spirits for guidance and direction for what will be of the greatest and best good for All concerned.I am guided in the session always. I am the channel for those on the other side to send their healing through me to the recipient. If I am in a Reiki session my hands go to the spot that most needs the healing at that time. Massage it could be that I use a certain essential oil that I blend or it could be holding the feet to balance the energy flow. I never know for sure how the session will go until I am with the person. I can get insites before they get here and have some guidance as to what modality I will be doing but mostly when the client arrives and we talk I “get” what it is that is required. I may be drumming them into a journey or a past life or I could be rattling to move stagnant energy. I will at times bring out my pipe and smoke along the chakra’s or smudge the client to remove unwanted energy. And sometimes there is just a relaxing massage with no words spoken. No two sessions have ever been the same. Below are some pictures of Medicine people that I have had the privilege to work with. Sacred Fire Ceremony, Part of the Global community that held space for Angaangaq (Man who looks like his uncle) While he and other Elders from around the world fulfilled a 20,000 year old prophecy of bringing the fire back to the top of the world. At Coyote Springs many came and we became part of this legacy.As we created ceremony honoring this prophecy. We had a sweat lodge ceremony and sent prayers to others around the world that where also taken part in this awesome time of history. We drummed and laughed and shared many heart warming stories of who we are and who we were becoming.Many blessings were recognized that weekend. April 2010 Coyote with Elder Vern Harper and his nephew Bruce after a sweatlodge ceremony at Elder Vern’s land just outside of Guelph Ontario. 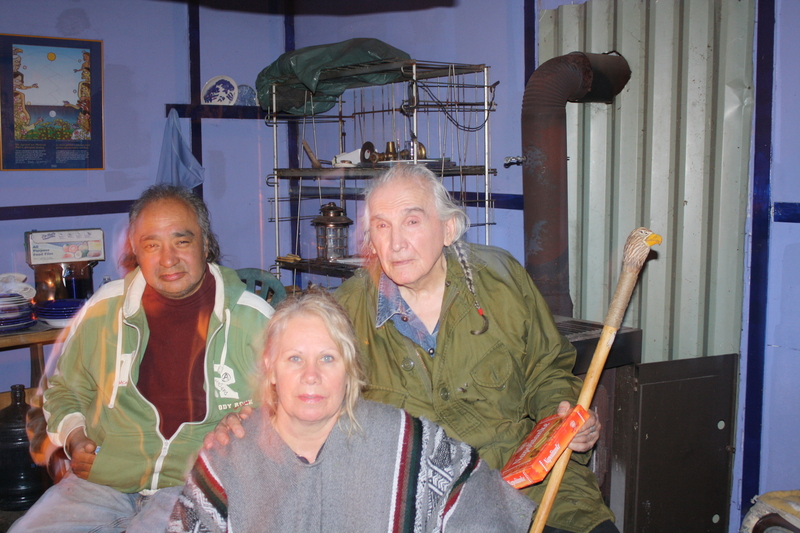 I was honored to be asked by Vern to sit beside him in the sweat lodge as the Grandmother. It was such a special night for me as my daughter attended her first sweat that night. I met wonderful young people there that where on their individual quests, not one of them where disappointed they All “got” their answers. Beautiful souls each of them. Shamans Conference Panther Kill Mountain, Catskill Mountains New York State 2009. Coyote with Mongolian Shaman Sarandavaa. Sarandavaa was a delight to meet. She invited me to come to Mongolia to visit with her and see her clinic. Someday I pray I will make there as I would love to experience all that Mongolia has to offer. Shamans Conference 2009 Menla Mountion Retreat, New York State. Coyote with Mandaza Augustine Kandemwa a Shona medicine man. He is widely recognized in Southern Africa as a traditional healer (nganga). 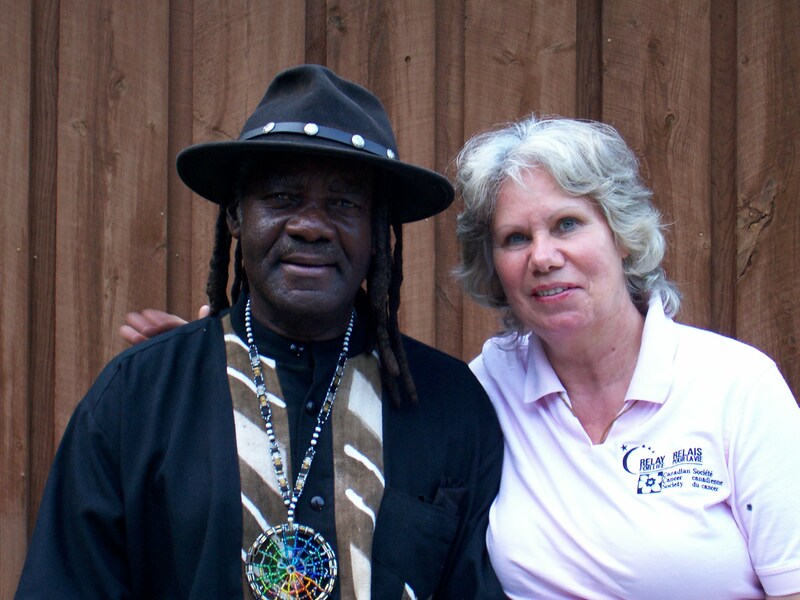 Mandaza tours North America each year teaching and healing. Raising funds for his orphanage in South Africa.I first met Mandaza in 2008 at Northern Edge Algonquin we where on a vision quest in Algonquin Park for a week. He is a truly a beautiful spirit.